//	OnePlus 3 Finally Unveiled – The Perfect Android Smartphone? OnePlus 3 Finally Unveiled – The Perfect Android Smartphone? OnePlus 3 is finally here following weeks of speculations and rumors. The Chinese OEM has been doing great in the smartphone industry as far as going up against the big boys such as Apple, Samsung, HTC and LG is concerned. When the OnePlus One, OnePlus 2 and OnePlus X were launched, all of these three devices were sold via an invite system. This was, according to the company, the best way to establish itself in the market as it could easily control the demand and supply chain. The release of the mid-range OnePlus X came in with a slight change where enthusiasts could buy the phone invite-free, but only on one day of the week. Now that the company is aware of its growing following, it has finally gotten rid of the cumbersome invite system that meant only a few individuals could access the company’s phones. With more and more sales being recorded, the company has now jumped in with a new flagship dubbed OnePlus 3. On paper, this is the phone everyone should be going for, especially if you are an Android diehard. You will be getting iPhone, Nexus, HTC, and Galaxy-level excellence with this device, however, it gets even better for the OnePlus flagship as far as price is concerned. OnePlus has seen a huge part of its success come due to the fact that it sales devices with high-end specs, but at very low prices, much like Xiaomi. To grab a new OnePlus 3, you only need $399. The company offers only on storage option of 64GB, which is contrary to previous cases where it has offered the flagship in two storage options. The figure will stick at 399 as far as Europe is concerned while the phone will also be sold in China for 3,098 HKD and India for 27,999 INR. This is way cheaper than what it costs to get a new Samsung Galaxy S7 Edge, iPhone 6S Plus, LG G5, Nexus 6P or even the smaller HTC 10. For a price of just $399, you will be getting a device that packs all the latest flagship specs and features you could ever want in a phone. 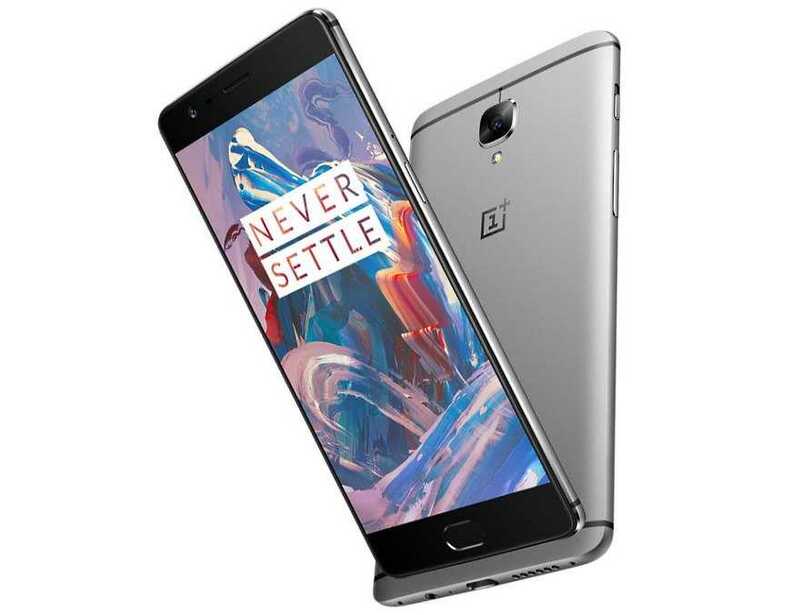 In addition to the non-expandable 64GB of onboard storage, the OnePlus 3 also brings a massive 5.5-inch AMOLED display unit that, unlike most Android flagships, features a Full HD 1080p resolution and 401 pixels per inch. Under the hood, the phone packs a Snapdragon 820 SoC that is paired with an Adreno 530 GPU and a humongous RAM of 6GB. The back of the phone has a 16MP sensor that is equipped with OIS, manual controls and it also supports taking RAW shots. The front part has a decent 8MP camera, which, on paper, beats the 5MP sensors you find on most flagship handsets. As for the software, you will get the latest Android 6.0 Marshmallow on board, but with OxygenOS on top.